Puzzled by a Plant Question? 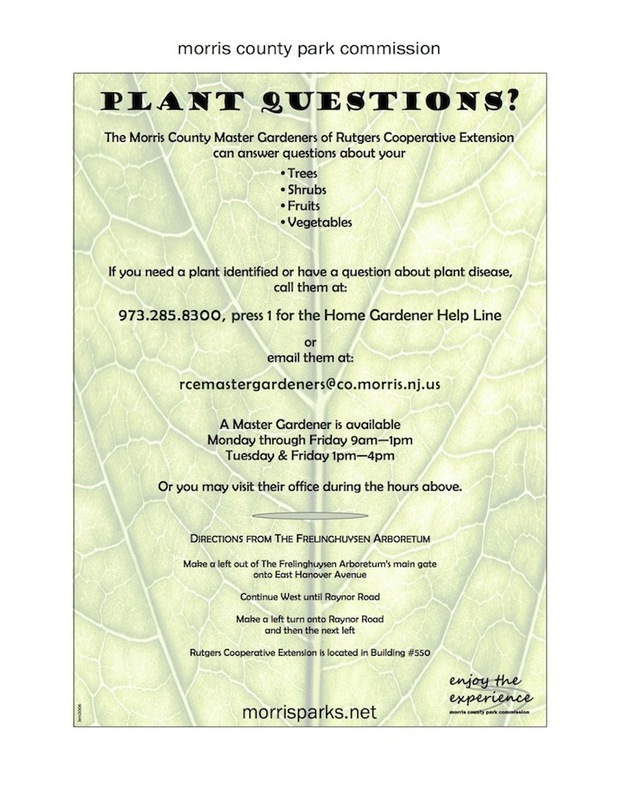 Call the Morris County Master Gardeners! Click on the image below for a full-sized pdf.